Has your bike got what it takes to win Britain's got Biking Talent? Can your motorcycle beat the 2007 winner? Think you’ve got a special motorcycle? Spent thousands getting it just how you want it? Well now’s your chance to show it off and win something back in the second Britain’s Got Biking Talent with Carole Nash, contest. By uploading a photo of it onto our website, you’ll be in with a chance to win a bunch of great prizes - including £1000 cash and hundreds of pounds worth of kit and insurance - plus get featured in the Carole Nash calendar. All you have to do to enter is get a picture or video of your bike and upload it to our special Britain’s Got Biking Talent with Carole Nash gallery where motorcyclenews.com users will vote for the winner. The best bike voted by readers earns the owner the £1000 cash. The runner up takes a Shoei XR1000 helmet worth £389, plus helmet and leather insurance from Carole Nash and third place collects £250 worth of Spada motorcycle clothing courtesy of Feridax.com as well as Helmet and leather cover from Carole Nash. The top three winners will also be entitled to £250 off a bike insurance policy through Carole Nash. 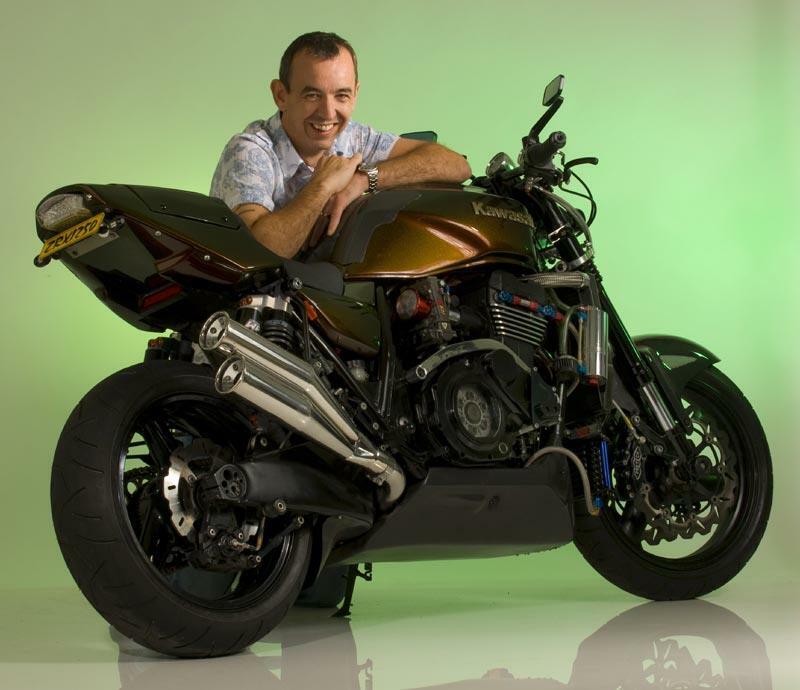 And the top 12 will get the kudos of having their bike feature in the 2009 Carole Nash Calendar. Your bike needs to be the kind that gathers crowds at bike meets. It doesn’t matter what kind – it can be a stretched superbike, an out-there chopper or a concourse condition super-rare classic – just as long as it’s special. You’ve got until August 23 to enter by uploading photos in the Carole Nash Britain’s Got Biking Talent section here. Visitors to the site will have from August 28 until September 19 to cast their votes by choosing their top 12 – one for each month of Carole Nash’s 2009 calendar. The winning bikes will be the ones with most votes. The 12 winners will also get free VIP Press Day tickets and a night’s hotel accommodation for the NEC Bike Show, where their bikes will be displayed alongside the most desirable motorcycles in the world, plus a professionally shot and framed photo of them with their machine. Winners bikes will need to be available during the show dates of November 27th to December 7th and the winners must be available on Thursday 27th November. If you haven’t yet registered with motorcyclenews.com, you’ll need to do so before entering the contest. Simply click on ‘register’ at he top of the page and fill in the brief form that appears. ENTRANTS must provide the entry details as specified when loading a picture. Britain’s Got Biking Talent is open to individuals in the UK or overseas residents aged 18 or over. Employees of Bauer Consumer Media, Carole Nash and any company associated with Britain’s Got Biking Talent, and their immediate families, are not eligible to enter. The previous 12 winners cannot enter the same motorcycle again. No responsibility can be accepted for entries that are lost, delayed or damaged. The closing date for loading pictures is August 23, 2008. Voting will take place from August 27 - September 19, 2008. The 12 winners will be formally notified within two days of closing date. Only the winners will be contacted personally. The winners must be available for a photoshoot in the Midlands, October 7 or 8, 2008. The winners must be able to bring their bike to the photoshoot; we will cover reasonable transport costs within the UK. If a winner cannot attend the photoshoot during the specified dates then a runner-up with the most votes will be selected. The winners and their bikes also need to be available for the NEC Motorcycle and Scooter Show on November 27 - December 7 2008. Reasonable travel costs within the UK and accommodation will be provided plus 2 VIP tickets to the show for each finalist. Pictures must be an accurate representation of the current condition of the bike. Any images that are loaded on to www.motorcyclenews. com need to have a high-resolution version kept by the person entering the competition. The person uploading must own all the rights to the picture and have permission to upload/use the photo. Prizes: First prize £1000 cash; 2nd prize Shoei XR1000 helmet; 3rd prize £250 worth of Spada Clothing. All three winners will get up to £250 off insurance through Carole Nash, only available in the UK & Ireland, terms and conditions apply. Helmet and leather cover only available through a Carole Nash policy and only available in the UK, terms and conditions apply. No cash althernative for prizes which are not already cash. Use of false name oraddress, ie. a name by which the entrant is not usually known, will disqualify them from receiving any prize. We reserve the right to amend these rules at any time. Prize winners will be the entrants with the most votes. Entrants will be deemed to have accepted these rules and to agree to be bound by them. The Promoters are Bauer Consumer Media Ltd, Media House, Lynchwood, Peterborough PE2 6EA. If for any reason beyond the promoter’s control it is not possible to provide the stated prizes, the promoter reserves the right to award alternative prizes of no lesser value. The entrant must be the registered owner and keeper of the bike entered. No entries can be returned and no correspondence will be entered into by the promoter. The promoter accepts no responsibility for resultant loss or damage to persons or properties (other than death or personal injury due to negligence of the promoters or their agents) as a result of these prizes being awarded. We reserve the right to feature the names, photographs, and locations of winners in future promotions. Carole Nash own the rights to the photos taken at the Midlands photoshoot. We reserve the right to refuse or withdraw entries at any time. A list of all winners will be available by post after November 30, 2008 by sending a stamped self-addressed envelope to Britain’s Got Biking Talent Bauer Consumer Media, Media House, Peterborough Business Park, Peterborough PE2 6EA. The registered office of Bauer Consumer Media is: 40 Bernard Street, London WC1N 1LW. Registered No. 696758. Britain's Got Biking Talent with Carole Nash is back! Video: Carole Nash Motorcycle Live - on your bike! Has your bike got what it takes to win Britain's got Biking Talent? Can your motorcycle beat the 2007 winner?